This content is brought to you by Safety Vision. A problem that is often echoed in the pupil transportation industry is the lack of communication when it comes to school bus issues. This issue can be combated with a wireless network solution such as Safety Vision’s sophisticated Foresight PRO and its wireless data management. 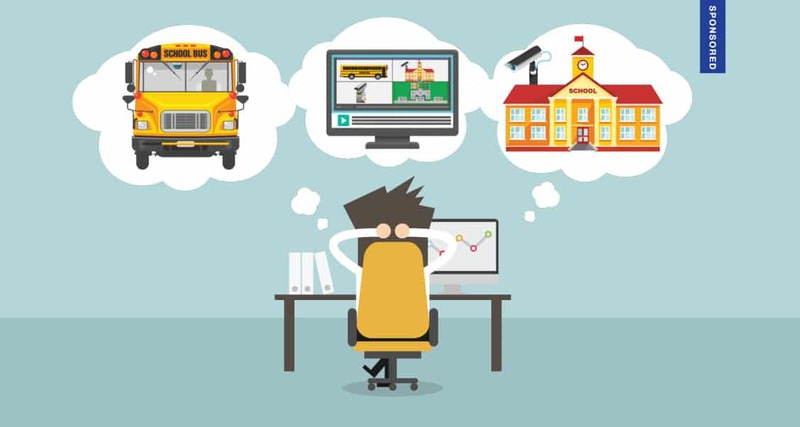 With the use of optional wireless equipment, video from any and every school bus can be automatically off-loaded for hands-free video downloading to the Foresight PRO software. This feature is becoming increasingly important to districts because, when critical events happen, it is essential to have the video you need as quickly and easily as possible. Technology that increases efficiency and creates an easy line of communication between all parties involved can prevent a situation from turning into a crisis. In the event that a child goes missing or needs to be accounted for, every second counts. Through access points, onboard servers, and downloadable wireless equipment, a wireless infrastructure is created with downloadable video readily available at your fingertips anytime you need it. Computers connected to the server, and using the Foresight PRO software, have the ability to search the video database on selected criteria. Video can be easily searched by events such as a driver pressing the panic button, sensor triggered events, speed, geo-fences, and many more advanced features. Having a system that automatically downloads video when connected to an access point cuts down the time and work it takes to physically track down a hard drive, as well as the daunting process of searching through hours of video. Investing in a reliable wireless downloading software like Foresight Pro not only saves time, but improves the efficiency of the locating process by eliminating any room for human error. Easily grow and expand your wireless network software over time while significantly decreasing overhead costs and increasing ROI in the long run. Safety Vision is ready and willing to help, as shared by Dawn Cox, transportation director for Tennessee’s Loudon County Schools. Another key benefit to wireless networking includes extensive reporting for in-depth information about your fleet quickly and easily. Users can customize email alerts for DVR health reports to automatically notify staff on any camera failures, hard drive issues, blind detection, GPS connectivity, etc. Reports can also be set up for management to receive notifications about poor school bus driver behavior such as speeding, hard breaking, alarm triggered events, and much more. Having an immediate notification eliminates the frequent and serious problem of finding out a system was down or a camera wasn’t working after a situation occurs.